The Grant County Economic Development Council and Washington Small Business Development Center Outbound Trade Event has received a National Association of Small Business International Trade Educators (NASBITE) International Program of Excellence Award, which will be presented to Grant County SBDC advisor Allan Peterson and SBDC export trade advisor Vern Jenkins at the national conference in Savannah, Georgia, in April. Jenkins and Peterson have been conducting both inbound and outbound trade events in Grant County since 2015. The program is unique in the extensive pre-departure education and advising that Jenkins and Peterson guide clients through, as well as the follow-up assistance after the trips. Jenkins and Peterson built on the county’s existing Sister City relationship with Gunpo, South Korea, to organize the first inbound and outbound trade events, and the program has since grown to include trade missions to Japan and China. More than 24 Eastern Washington businesses have participated in the program over the past three years and it has become a model for expanding export opportunities in rural communities. The fourth outbound trade mission is scheduled for fall 2019. 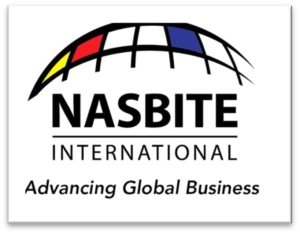 NASBITE International is a not-for-profit organization supporting training and education in the field of global business.